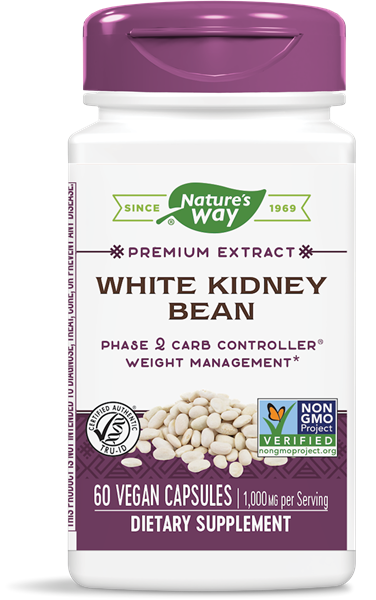 White Kidney Bean / 60 Vcaps - Nature's Way®. Take 2 capsules twice daily before meals with 8 oz. of water. If pregnant, nursing or taking any medications, consult a healthcare professional before use. Phase 2 Carb Controller® is used under license.